Combine wasabi and water in a bowl. Heat the oil in a large, deep saucepan over medium heat until hot (see Kitchen Notes, page 32). 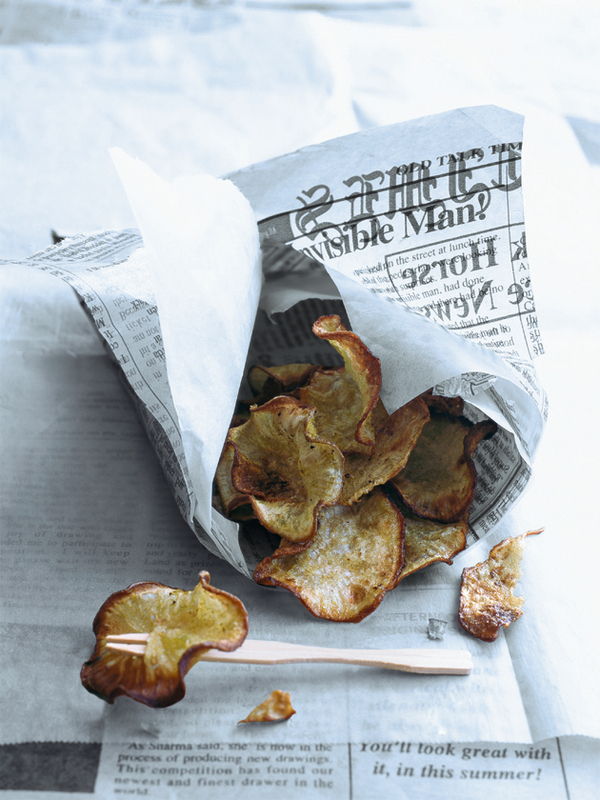 Dip the swede slices in the wasabi mixture and deep-fry, in batches, for 2 minutes or until golden and crisp. Drain on non-stick baking paper, sprinkle with salt and serve immediately.